If your loyal appliances are still in good working condition after years of exploitation but are starting to show some tell-tale signs of their age on the outside, there’s one easy way to revamp their appearance and give your kitchen or utility room a makeover without making a dent in your wallet. 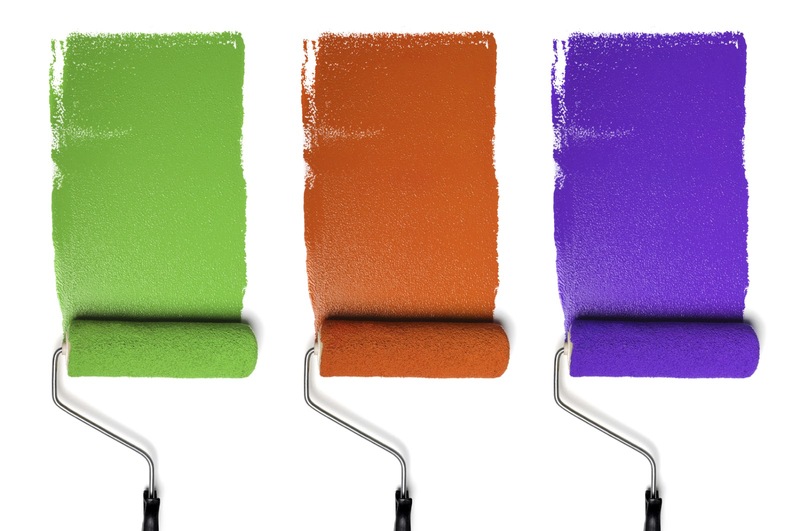 To the rescue – any DIY handyman’s best friend: paint! You use it to freshen up your walls and breathe new life to any room, so why not give your appliances a new coat of paint to cover up any wear and tear, prolong their lifespan and better suit your home’s architectural trim? It’s easy, affordable, and a fun DIY project. The Paint – Choose Wisely! Depending on how many appliances you have and what their condition is, the cost of sprucing them up could starts as low as £20. If you want to do a minor touch-up job, you could do with a small bottle of specialised paint or buy an entire one-quart tin to brush over the entire appliance. Consult the manufacturer’s instructions and carefully choose paints according to the type of your oven, refrigerator, or other appliance. ● Professional painters recommend using epoxy paint to cover up discolouration and even the colour of the appliance. With this type of paint, you don’t have to do any priming, application can happen both by brush or spray, and you can also choose from a range of colours. ● If you’re painting ovens, radiators, or any other appliances which heat during operation, choose a special heat-resistant paint which is especially formulated to withstand high temperatures. ● If you happen to find the range of colours in the appliance paint catalogue too narrow to accommodate the needs of your renovation project, you can select a colour from the variety of spray paint. That way, you can let your imagination run free and customise your appliance to make it blend in with surroundings or stand out – whatever style you’re going for. If you use such paint, you’ll need to apply a coat of an enamel gloss protective spray. ● A really fresh way to add a personal touch to your kitchen and liven up your fridge is to use chalkboard paint, either black or any other colour you’d like to mix and use it as an over-sized memo board. A lot more fun than putting up sticky notes! As with any other DIY project, remember that safety is your top priority. Before you start painting any kind of appliance, unplug it from the outlet. Defrost fridges and freezers and clean them up. Cover the floor and other appliances with protective sheets or old towels to prevent streaks and splashes. If you have to remove accumulated oil and grease, use a little ammonia which will cut through layers of grime and prepare the surface so that the paint adheres properly. If you decide to use ammonia or choose to spray paint, make sure the premises is properly ventilated – open the windows and use some fans if necessary to aid air circulation. These fumes are harmful, so take these precautions if you decide to work inside or take the appliance outside. Other precautions include covering your mouth with a mask and wearing long sleeve shirt and pants. To be sure that the paint will stick to a glossy surface, you will have to first rough it up. Use a piece of steel wool and rub across the entire surface in a circular motion. You need a clean, matte surface so that the new coat of appliance paint will bond smoothly. Wipe any dust that has accumulated and cover any logos and non-removable components with a painter’s tape. Now that you have prepared the appliance and have protected yourself and the surrounding surfaces, you can start applying the paint. If you’re using a brush or a roller, apply the paint in slow and even movements, covering as much surface as possible in one brushstroke. Don’t worry if you notice that the paint has started to bubble up – this is normal and in most cases it evens itself out. You might have to apply another coat of paint, depending on how smooth the surface comes out after the first application. When using a spray can method, keep the nozzle steady at a constant level and at an even distance from the surface – about 12 inches. You will have to do 2 or 3 coats of paint and finish with a coat of enamel gloss protective spray if you’re using anything else than appliance paint. Allow at least 15 minutes between applications and give your appliance a good 24 hours to dry before you touch it or bring it inside. And there you have it – an easy, budget-friendly DIY project to help you unleash your inner rebel and let your creative side invigorate your home! What Goes Into a Moving Cost Estimate?